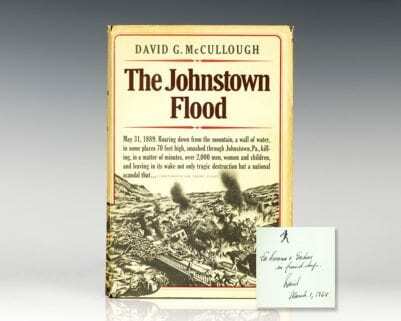 First edition of the author’s second Pulitzer Prize-winning work. Octavo, original half cloth, illustrated. 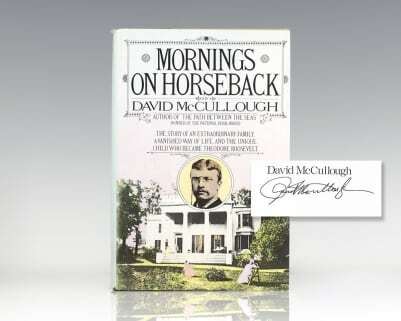 Signed by David McCullough on the title page. Fine in a fine dust jacket. Jacket design by Wendell Minor. Jacket painting by Gilbert Stuart. Left to his own devices, John Adams might have lived out his days as a Massachusetts country lawyer, devoted to his family and friends. 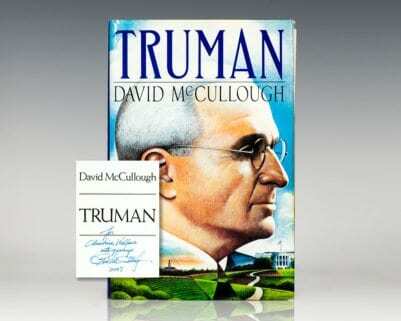 As it was, events swiftly overtook him, and Adams--who, David McCullough writes, was "not a man of the world" and not fond of politics--came to greatness as the second president of the United States, and one of the most distinguished of a generation of revolutionary leaders. He found reason to dislike sectarian wrangling even more in the aftermath of war, when Federalist and anti-Federalist factions vied bitterly for power, introducing scandal into an administration beset by other difficulties--including pirates on the high seas, conflict with France and England, and all the public controversy attendant in building a nation. 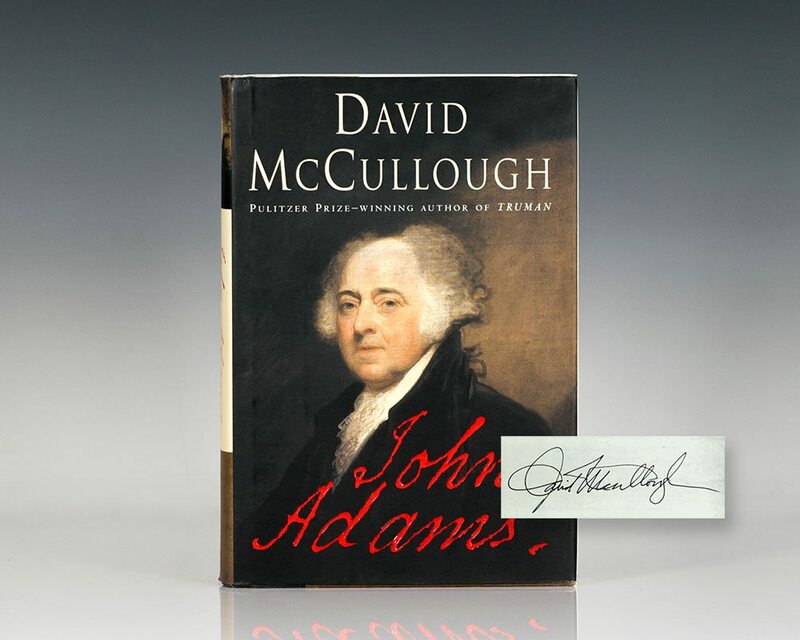 "By far the best biography of Adams ever written...McCullough's special gift as an artist is his ability to re-create past human beings in all their fullness and all their humanity. 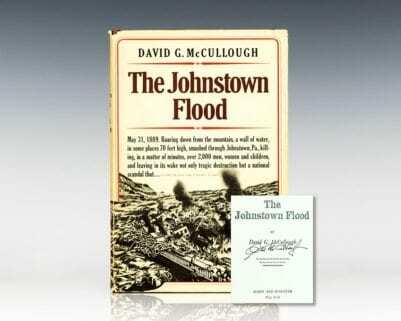 In John and Abigail he has found characters worthy of his talent" (Gordon S. Wood, The New York Review of Books).